When Google Checkout rolled out, it was free. Not only was it free, but it came with a badge that appears near AdWords ads to make the ads stand out. That boosts ad clickthrough rates, which feeds into ad quality score & acts as a discount for advertisers who used Google Checkout. If you did not use Google’s bundled services you were stuck paying above market rates to compete with those who accepted Google’s bundling discounts. And all the while Google was doing the above bundling (as they still are to this day) they were also lobbying in Australia about Paypal’s dominant market position. eBay (which owns Paypal) is one of Google’s 5 largest advertisers. Companies spend billions of Dollars every year building their trademarked brands. But if they don’t pay Google for existing brand equity then Google sells access to that stream of branded traffic to competitors, even though internal Google studies have shown it causes confusion in the marketplace. 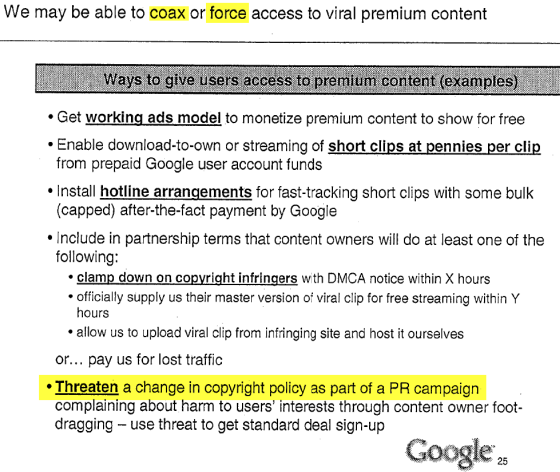 Copyright protects the value of content. To increase the cost of maintaining that value, DoubleClick and AdSense fund a lot of copy and paste publishing, even of the automated variety. Sure you can hide your content behind a paywall, but if Google is paying people to steal it and wrap it in ads how do you have legal recourse if those people live in a country which doesn’t respect copyright? 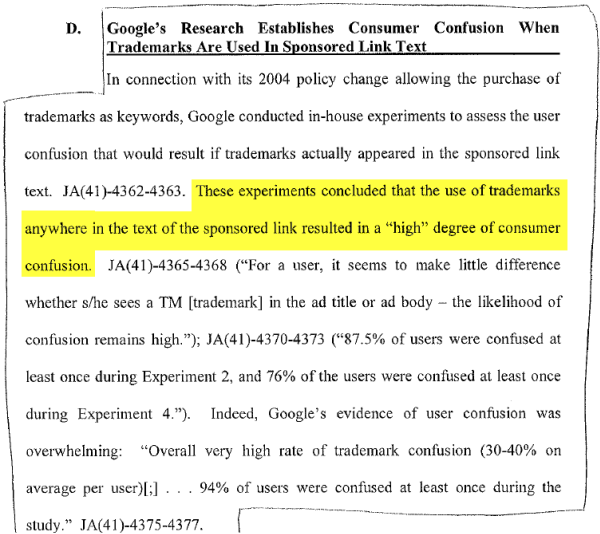 You can see how LOOSE Google’s AdSense standards are when it comes to things like copyright and trademarks by searching for something like “bulk PageRank checker” and seeing how many sites that violate Google’s TOS multiple ways are built on cybersquatted domain names that contain the word “PageRank” in them. There are also sites dedicated to turning Youtube videos into MP3’s which are monetized via AdSense. Knol was pushed as a way to revolutionize how people share information online. But it went nowhere. Why? Google got caught with their hand in the cookie jar, so they couldn’t force the market to eat it. From a public relations standpoint & a legal perspective I don’t think it is a good idea for Google to deliver all-or-nothing ultimatums. Ultimately that could cause people in positions of power to view their acts as a collection which have to be justified on the whole, rather than on an individual basis. Lucky for publishers, technology does allow them to skirt Google’s suggestions. If I ran an industry-leading review site and wanted to opt out of Google’s all-or-nothing scrape job scam, my approach would be to selectively post certain types of content. Some of it would be behind a registration wall, some of it would be publicly accessible in iframes, and maybe just a sliver of it is fully accessible to Google. That way Google indexes your site (and you still rank for the core industry keywords), but they can’t scrape the parts you don’t want them to. Of course that means losing out on some longtail search traffic (as the hidden content is invisible to search engines), but it is better than the alternatives of killing all search traffic or giving away the farm.